Why is it?urgent for COB ? 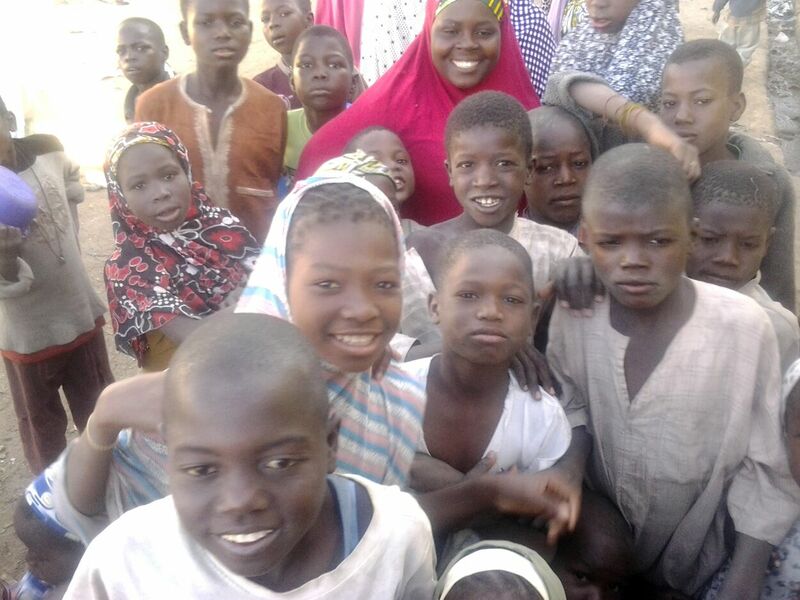 Children of Borno to find homes for orphaned children in the state of Borno,? ?northern Nigeria? It’s urgent because Boko Haram has killed many people and displaced about 1.5 million more. It’s necessary because there are many orphans. It’s necessary because international aid agencies haven’t been invited to help. COB?is?a tiny project, born from personal experience of the consequences of Boko Haram massacres, of individual stories and individual need. For instance, on 23?January, Jack Vince, a journalist and?COB supporter who lives in Borno’s capital Maiduguri spoke?with Mallam Ibrahim Mohammed Ado, a survivor of the Baga Massacre, on the shores of Lake Chad. Jack met Mallam Ado at a Maiduguri checkpoint for Internally Displaced People (IDPs). Back home, Mallam Ado heard the?heavy sound of gun shots and ? like others ? scurried?into the bush for safety. Close to a hundred people, he said, were in the bush for five days before they could find their way to Maiduguri on donkeys and carts. It took them 14 days to make the 200 kilometre journey to Maiduguri ? families, men, women, pregnant, children, youth and the aged. Near?Monguno?? about half way between Baga and Maiduguri ? ?the?group?discovered children. Only children. Abandoned. Crying. Frail-looking. Starved. Dying. They picked up 11 of the children who were alive and left the decomposing corpses of the dead ones in the open field where they met them. Ado also said that the number of corpses they saw on their way to Maiduguri?ba iyaka (was uncountable). Everyone was taken to the camps in Maiduguri?for care. ?Mallam Ado and the few people Jack?met at the checking point were left behind to tend to the donkeys and look after their carts. Kano people, brothers, sisters? an urgent need for food, accommodation and other basics has arisen with the arrival of more than 100 people seeking refuge today. One woman gave birth on the street. Please don?t force them to keep moving. The State has no provision for them. Hisbah will distribute and coordinate whatever can be supplied. Al Hajji has opened his humble home in Kano to more than 160 exiles from the ‘theater of sorrows’, a haven in a house with just three rooms. His rooms are lined with dangote sacks and old Ghana-must-go bags. He is clearly not a wealthy man but o my! his heart is huge. There are at least 500 other households like Al Hajji’s, offering shelter and ongoing support for individuals to make a new start. So yes, local people help the IDPs that reach Kano. Among those locals are?the students at?Gidan Almajirai, the home Fiona has set up in Kano, and Fiona herself for the Lovatt Foundation. There are other generous individuals doing what they can in Maiduguri. But what of the orphans without permanent new homes, those left in the camps? ?COB will provide some of these with a home and an education. According to Fiona, who took this photo of displaced children in Kano, ‘children make up the vast majority of displaced people. They are in good spirits considering the sights they have seen and the journey they have made’. Note: This post is adapted?from Northern Nigeria. Early 2015., an extended?Facebook duet between Jack ?and Fiona.